Have you ever misspelled a customer’s name? If so, then you know that the backtracking you need to do in order to remedy the problem can take some time and effort. Misspelling customers’ names, especially in service-oriented businesses, can easily derail your customer service and marketing efforts. Think about how much time and money you’ve already spent in order to learn about your target customers, their preferences, and how best to reach out to them. Then you blemish what should have been a pleasant moment of contact by misspelling their names. Consider these two Colorado Rockies blunders of 2014. 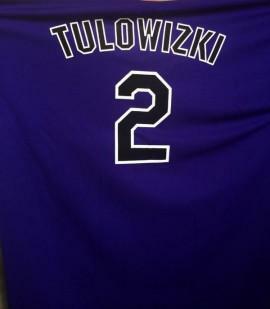 First, they honored the spectacular batting average of Troy Tulowitzki, and gave away 15,000 baseball jerseys that spelled out the celebrated shortstop’s last name as Tulowizki. The Rockies did a well-timed damage control by posting on their Facebook page an apology that acknowledged the mistake. Then barely two weeks later, the same Major League Baseball team introduced in its merchandise a batch of new souvenir cups that had Nolan Arenado’s last name printed as Arendo. The Rockies’ third baseman Arenado won a Gold Glove and was thus referred to in the souvenir cups as Golden Arendo. Examining these examples from a branding perspective, you might conclude that botching people’s names can make your prospective customers lose confidence in what you have to offer. The lack of attention to detail in something as crucial and downright personal as a name says a lot about your ability to deliver, say, whatever marketing claims you are making about your product or service. If the slip-up happens only once, then people can still be forgiving. However, if you commit the same oversight over and over, then it can suggest a lack of attention to detail or customer service. Imagine how potentially alienating it can be for an eager shopper—one who is clearly interested about your offerings because he may have gone through the trouble of signing up to your lead generation form—to see his name being misspelled on follow-up communications. In some cases, mucking up your time-honored personalization routine by messing up a customer’s name can even make or break a sale. This is the era of highly targeted and location-based marketing programs, social media, mobile wallets, smart wearables, advanced analytics, and drones that deliver merchandise at the doorsteps of shoppers. Consumers have developed higher expectations, and they formulate their purchase decisions based on those expectations. Marketers, on the other hand, can now wield a plethora of digital tools to streamline, as well as make more profitable, their day-to-day business operation. Getting your customers’ name spelled correctly shouldn’t be one of your issues. This tedious part of customer service can be verified, corrected and flagged automatically by a real-time name validation service. Our name verification API service intelligently validates not only your customers’ names but can also identify gender that is associated with the first name, helping you to address them properly. If you equip your business with the right tools to support your branding, marketing and customer service efforts, you’ll reduce the time, energy and money spent on fixing errors.